McALLEN — The government responded Monday to a former state district judge’s motion for reconsideration, which requests that the court rethink its October 2018 decision denying his request for a change of venue in what has the makings of a high-profile trial. In a four-page court filing, federal prosecutors opposed the reconsideration motion and asks the court to deny the motion dated Jan. 22, records show. 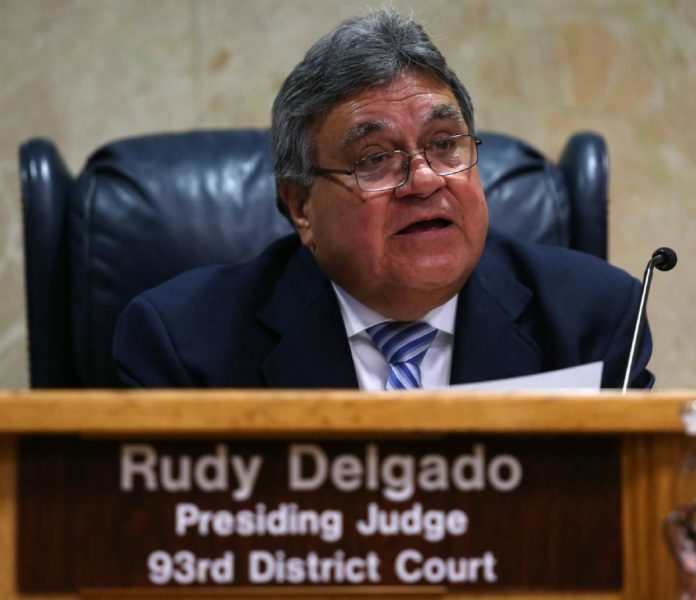 The reconsideration filed last month is the first such motion since a federal judge denied a change of venue motion filed by former state District Judge Rodolfo “Rudy” Delgado in August 2018. Delgado was indicted by a federal grand jury in February 2018 in connection with an investigation into allegations that he accepted bribes from at least one local attorney in exchange for judicial favors. The former judge faces three counts of federal program bribery, three counts of violating the federal Travel Act for using a phone to broker the alleged bribes, one count of conspiracy to commit bribery concerning programs receiving federal funds, and an obstruction of justice charge, court records show. On Aug. 10, 2018, Delgado filed to have his federal bribery trial held in McAllen instead of Houston, where jury selection is scheduled for July 1. But the court ruled in October 2018 to keep the trial’s venue in Houston after the government opposed Delgado’s motion, records show. Last month, in its second attempt to change the venue, Delgado’s attorney, Michael W. McCrum, argued that a newly proposed rule could affect his client’s current situation and argument. The U.S. District Court for the Southern District of Texas is currently soliciting public comments on a proposed criminal rule, titled “Criminal Local Rule 18 – Place of Trial Within The District,” with submissions due on Feb. 15, according to the court’s website. But in its own response, prosecutors underscored a few points in its opposition to Delgado’s motion, including the defense’s failure to show a lack of errors in “fact and in law” in the court’s October 2018 decision to keep the trial’s venue in Houston, and additionally that the defense’s argument over a proposed rule regarding a trial’s venue, is still only a proposal that has not yet been approved. Furthermore, prosecutors argue that even if the proposed rule change were to go into effect, it would not guarantee the court ruling in the defendant’s favor for the venue change. “… It would simply give the court additional guidance on how to apply its discretion, as it already did in this case in denying the motion to change venue for trial purposes only,” the court record states. It is not know when a decision on the reconsideration motion would be made by the court.